Beyond Wellness LLC (Ashburn) - Book Appointment Online! 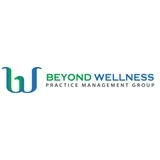 Beyond Wellness is a unique group of caring, holistic, healthcare providers working together to meet your health and wellness needs. Combining western health practices with eastern medicine and philosophy, our group of providers will create personalized plans of care for each patient. Rest assured that you will be in good hands.